Best Features: Well designed, tons of storage, customizable tension, comfortable. Room for Improvement: Slightly heavy. 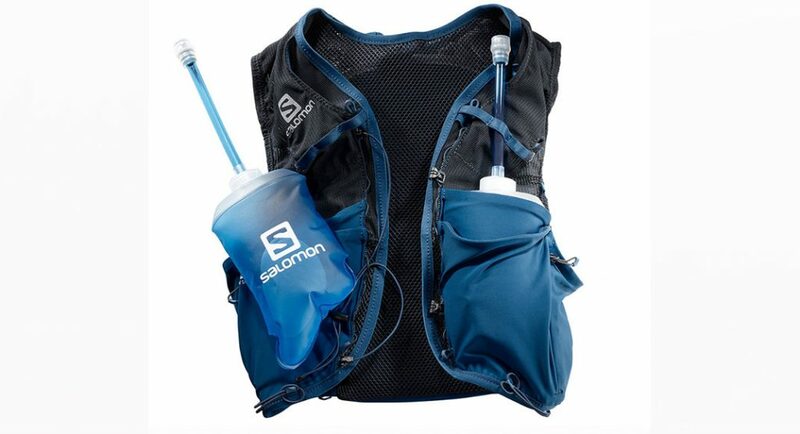 The women’s Advanced Skin 8 Set hydration vest by Salomon is on point, and it’s so comfortable, I’m sure some men will be using it at their next race also. 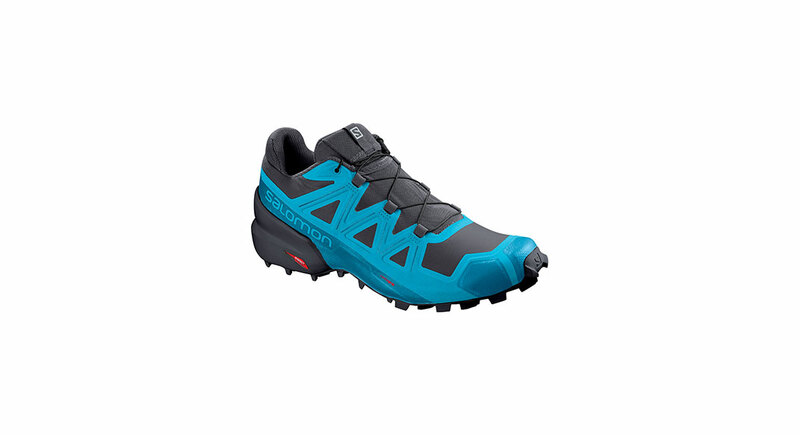 Designed for the curve of a woman’s chest, shorter torso and narrower shoulders, the ADV Skin 8 has tons of useful features and provides a comfortable ride, even when packed full, true to Salomon’s track record. The 4-way stretch material is durable and smooth against the skin and the inner mesh lining doesn’t chafe. The soft-flask pockets are designed for the flasks to sit underneath the breasts, against the lower ribs—a design that works really well and keeps water, nutrition and gear fitted snugly in the pack and against the body. The soft flasks themselves have a tapered shape to fit with the contour of the vest and body. The ADV Skin features one lower back pocket, with open-top access holes on either side. There are two front stretch pockets with open tops, one of which contains a pouch for credit cards or small items and two soft-flask pockets in the front. Elastic loops sit at the top of each flask pocket to help secure the top of the bottle. 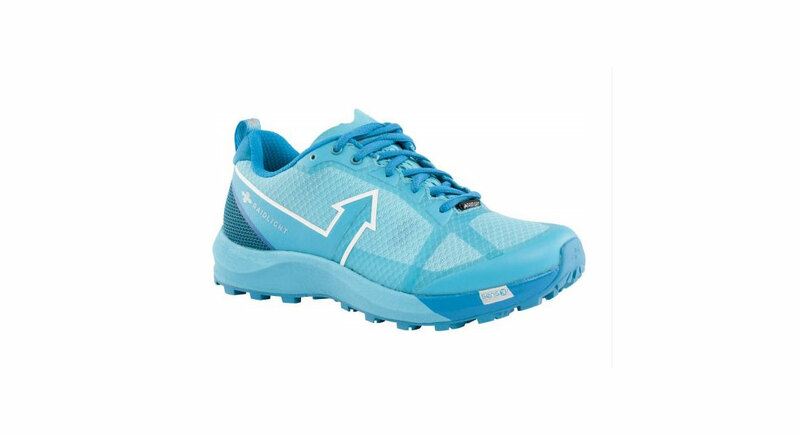 The main compartment in the back features a zipper closure off to the side to aide in mid-run zipping. A thin layer and additional mesh pocket separate the storage compartment from the bladder compartment, which has an insulated bladder sleeve. Two side zip pockets have ample room for nutrition or quick-access gear and two open-top pockets overlay the zip pockets for even more stashing goodness. One sneaky shoulder pocket hides above the right shoulder and is lined with water-resistant material and two clavicle stretch pockets are great for soft essentials like gloves, hat or buff. Ample elastic loops and fasteners make for customizable pole-carrying and the sternum fasteners are a simple hook and loop system with one continuous elastic cord. The hooks can be moved, however, unfastening them proved difficult. You’ll want to dial this in at home before a race. Weighing in slightly more than a comparable racing vest, this product seems like it will last hundreds of miles and get you to the finish line with every piece of required gear fitting snugly next to you.